While many museums offer family-oriented programming, teenagers often are not the target audience for such outreach. Further, as school field trips have decreased with waning budgets and with increased focus on standardized testing, many teens may not have access to or feel welcome in museums. But there’s a growing trend among museum educators to focus on teens and to develop meaningful ways to engage them in the arts and in social issues through museum collections. Now, there’s evidence to demonstrate the lasting impact of such work in shaping the lives of young people, based on a study of four contemporary art museums with teen programs that have been around since the 1990s. Each of the participating museums is home to a nationally recognized teen program that has operated continuously since the 1990s. These programs bring highly diverse urban youth together to work collaboratively with museum staff and artists, developing vibrant activities and events to engage teen audiences, from tours and exhibitions to performances and fashion shows. These are not one-off experiences. The programs studied go deep with relatively small cohorts of teenage participants, typically engaging teens for one to three years and serving one to two dozen students at a time, generally with weekly engagements. Each program has its own local flavor and typically aligns with community needs or social issues. “Room to Rise” is based on online surveys of 264 individuals who participated as teenagers in programs offered by the four institutions from the 1990s through 2011. (The survey was sent to 600 potential respondents.) Focus groups elicited additional information from 18 individuals. The study was inspired in part by a growing body of anecdotal evidence that participants in the four museums’ programs greatly valued those experiences, and in some cases pursued careers in the arts because of them. Whitney: Youth Insights (created in 1997) offers intensive programs in which teens build sustained relationships with artists, museum staff, and a supportive community of peers while leading tours, planning events, making and creating art, and developing media projects. Walker: The centerpiece of teen programs is the Walker Art Center Teen Arts Council (created in 1996), a group of high school student artists and art enthusiasts who meet weekly to design, organize, and market events and programs for their peers and the general public. Contemporary Arts Museum Houston: The Teen Council (created in 1999) introduces young people to contemporary art and provides an arts-based incubator for leadership, visual literacy, and life skill development. 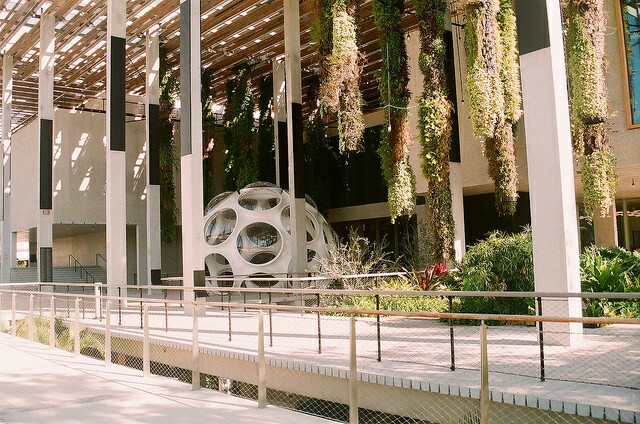 Museum of Contemporary Art, Los Angeles: Teens work with artists, museum professionals, and one another to make art, investigate exhibitions, and plan events. Pérez Art Museum Miami offers a program called Art Detectives that brings young people together with police officers and museum staff, studying and making art together while helping to change perceptions of each other as members of the same community. Minnesota Historical Society has a program called “Wariyaa” specifically for Somali youth. (Minneapolis has the largest Somali refugee population in the U.S.) The nine students selected to participate in the program are working on a Somali cookbook, which will combine recipes with oral history. Museum of the City of New York, the Whitney and the Museum of Modern Art in New York all offer programs aimed at lesbian gay, bisexual, and transgender teens.